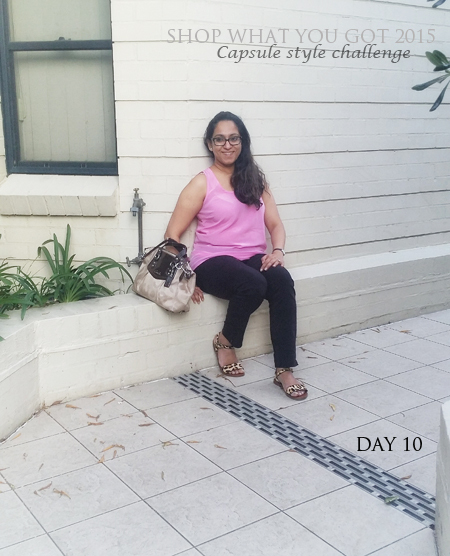 DAY 1:Pop of pattern and colour- You can never go wrong with quality neutral pieces and I’m glad I chose the ‘building blocks’ well, which means there is plenty of opportunity to splash around with colour and pattern using accessories. 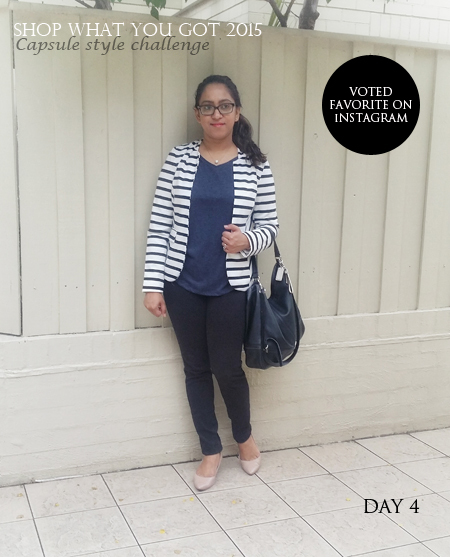 DAY 4: Navy and black with stripes- The striped blazer is a highly recommended piece for a smart casual capsule wardrobe, it has magical abilities to lift an outfit. Like this one above, for that perfect first impression when seeing a client! No wonder it was the favourite #ootd on Instagram. 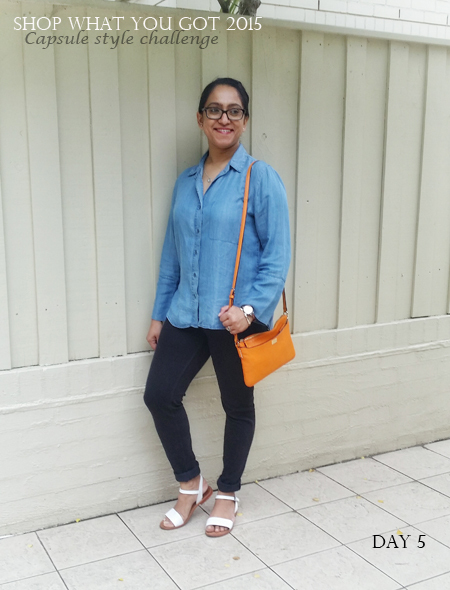 DAY 5 : Chambray and complimentary colours- Almost every capsule wardrobe I’ve seen suggests a chambray shirt as a mandatory piece and I couldn’t agree more. 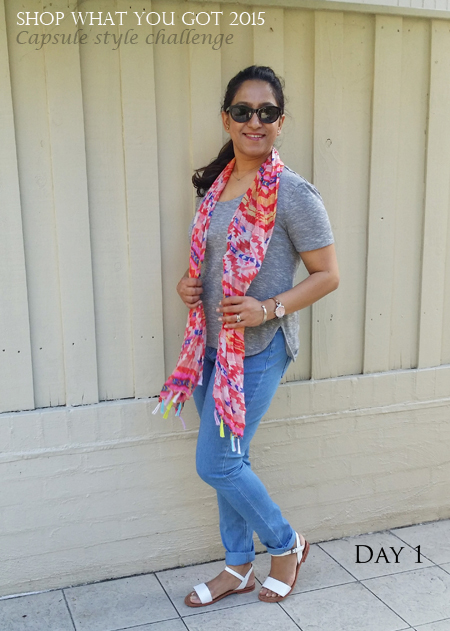 I could practically live in this particular chambray shirt, have you seen my stylist’s pick post on this chambray shirt here? The use of a complimentary accessory adds the perfect burst of colour, especially for a Spring look. DAY 6: Stripes, leopard print and denim jacket- 3 things that are evergreen, ever chic and when put together are just effortlessly stylish! 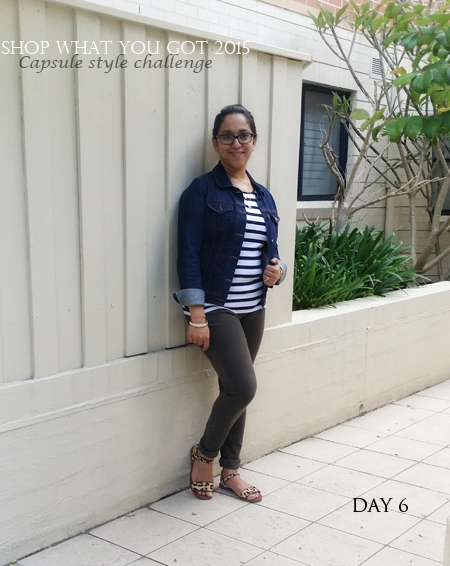 Day 6 was an outfit for a laid back casual Friday. 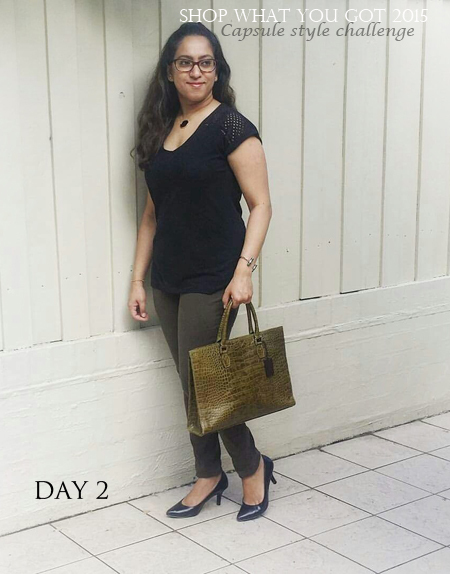 DAY 7: Leopard on neutrals- Saturday chores outfit made fun with some leopard print and the burgundy bag added the perfect statement. 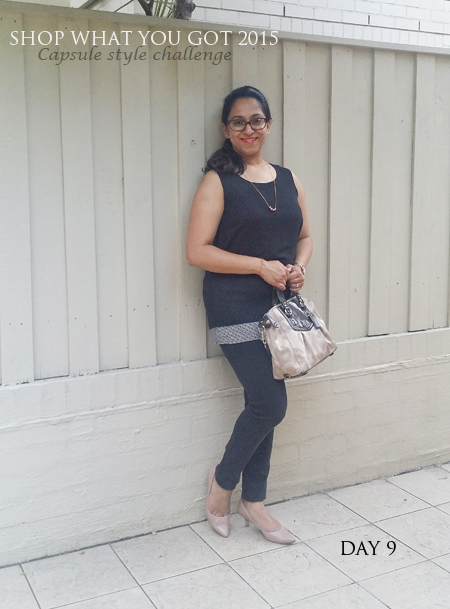 DAY 9: Black and beige with a hint of print- Monday monochrome was right on point with my all time favourite combination that has another advantage, it makes you look oh-so polished! DAY 10: Pink and leopard- The pink silk tank combined with leopard pint adds a touch of smart style to this Tuesday office outfit. How do you like the looks so far? 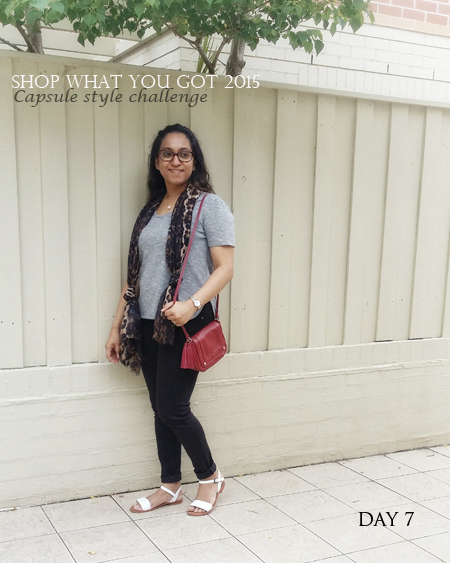 Love the idea of a CAPSULE WARDROBE? I’m sure this post can demonstrate how to make the most of well chosen pieces in a capsule collection. 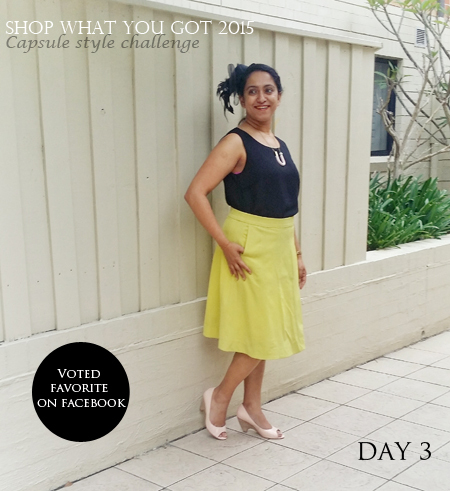 JOIN ME on Instagram and Facebook for daily style post to find out what pieces I am wearing and how. Also, stay tuned for the next 10!! Day 3 outfit is my fav. You rock in all the outfits !! thumbs up! !